Smoked cheese with my new toy! 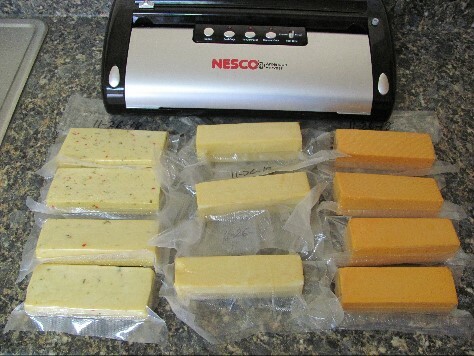 Re: Smoked cheese with my new toy! That is awesome! Something iv been wanting to try for a long time !! Send some this way!!!!! Need to wait at least two weeks for the cheese to mellow out. Hate the wait! Looks like the smoke tube works great. That would be hard to wait a couple weeks to sample that. Looks great Dave. 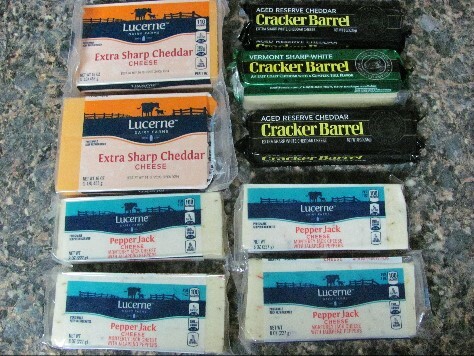 I love smoking cheese. I’m out and haven’t smoked any since summer ended. Great idea having it ready for the holidays. I will make some this weekend. 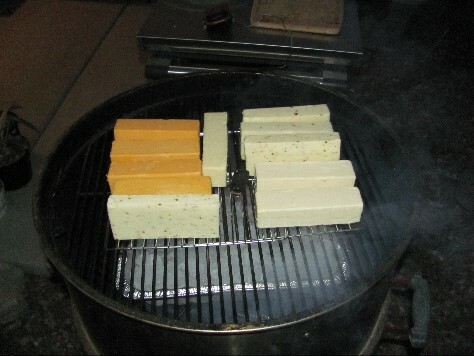 Something I have found is smoking in the 70 degree range takes much less time to smoke the cheese. In other words, I’ve smoked cheese at 40 degrees for four hours that was not as strong as cheese smoked for 2 hours at 70 degrees. It’s really fun to experiment with time and temp and type of pellets. It looks like your color is perfect. Nice subtle smoke flavor that won’t be overpowering. 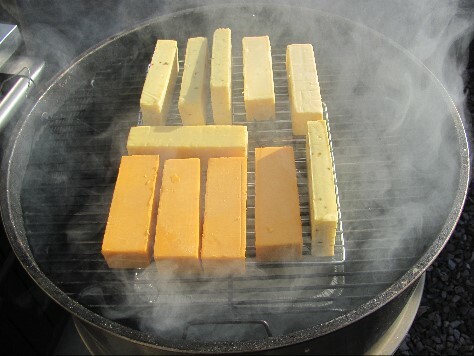 Smoked cheese....wow, that looks great man! Never heard of smoked cheese before. I still can’t imagine that’s this will be tasty. I guess I’ll need to give this a try! Smoked cheese is awesome. I've never made it myself, but have bought it before in the stores. Looks like I may have to add this to my (ever growing) list of things to try! Been wanting to try some smoked cheese. 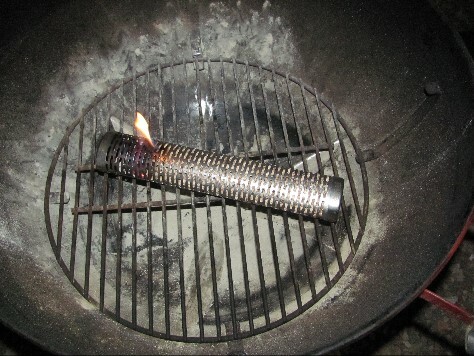 I bought a smoke tube to try some out... Gonna add it to my list! Nice job! Smoked cheese is a wonderful thing. 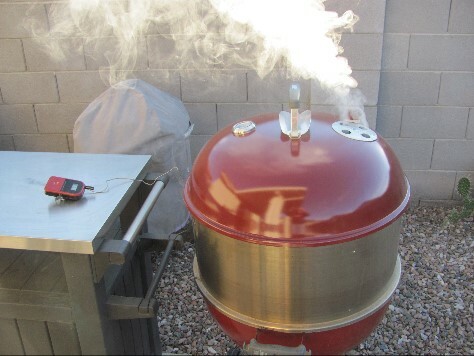 Welcome to the cheese smokers club @Davescprktl !!! 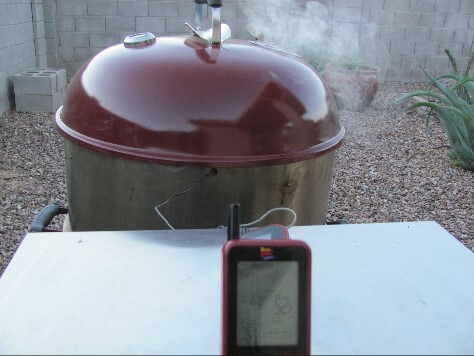 A little trick I learned when I was in AZ and had to battle to keep temps low enough when smoking cheese was putting a bag of ice in the very bottom of the kettle. The ice against the bowl does a really good job of keep temps down!